Our search engine marketing services start with identifying the keywords your target audience uses when searching for your products or services. It is a crucial step of the optimization process. You have to reach the right audience to generate a high return on investment. We can help you choose the best keywords based on search frequency and relevance to your website. Carefully targeting your campaign from the start will lead to greater success down the road. The Internet is an extremely competitive marketplace. 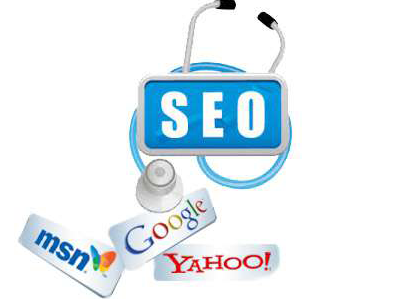 There are other companies targeting your keywords and reaching your potential customers. Analyzing your competition’s online strengths and weaknesses can reveal opportunities for you. Our professional search engine optimization team will take an in-depth look at the competitive marketplace for your chosen keywords and help you develop the strategies to reach the top and stay there. 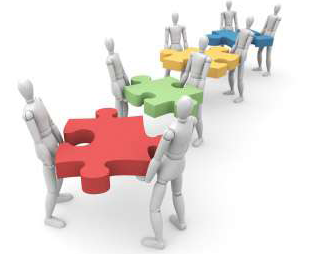 Building relevant links from other websites is an intricate process. We employ a wide range of methods and techniques to attract valuable links, and the right links, to build your rankings. We work to build a well-rounded link portfolio that includes many kinds of links and opportunities to help you compete. Relevant, high-quality links are 1 of the most important factors in determining how well a website will rank in the search engines. Building relevant links from other websites is an intricate process that requires time and patience. A winning content strategy is extremely important to online success. Search engines index new and unique content, which means there is a lot of SEO value to optimize your Web copy. However, the final product needs to be more than just content for search engines. Good copywriting will not only help to increase your rankings, but aids in converting your visitors to paying customers. Our writers produce professional, unique content that delivers a clear and optimized marketing message to both search engines and users. A local search typically includes a location modifier on a keyword and is used by customers seeking a business or product in their area. When these types of searches are performed, the search engines will often pull a geographic map of local business listings with important contact and directional information. DTRIPLERS will help you optimize your local business listings for these geographically focused searches. Local search advertising specifically targets local consumers ready to buy a certain product or service. A higher percentage of these customers will purchase once they’ve found the locations where they can do business near them. With the development and recent improvements of smart ph1s, mobile search engine usage is increasing in popularity. Optimizing for mobile SEO solicits a unique strategy that facilitates quick and easy viewing of the most important information about your business. Global search marketing targets international and multilingual markets so that companies can reach out beyond their national borders to a worldwide audience. At DTRIPLERS, we can help you employ the right strategies to effectively market yourself and build international search engine rankings. We will help you target users who go online to compare products from different vendors, or search for an online store or product by category. By ranking well in these searches, your customers can find and buy your products with just a couple of clicks. Modern search engine optimization can include a range of multimedia strategies to build rankings and drive traffic to your site. Search engines provide video results on related keywords. We will help you develop a multimedia campaign that complements your SEO efforts and allows you to reach a broader audience by optimizing videos for search. Search marketing campaigns should be by closely and regularly analyzed. DTRIPLERS will set up analytics reporting on your site and then offer professional consultation and recommendations on how to take advantage of the data. We examine all the relevant metrics and data related to your site visitors to determine what keywords and search engines are driving the most traffic, and what changes need to be made to your site to increase relevant traffic and conversions. At DTRIPLERS, we believe in being completely accountable to our clients. We provide a detailed account of your website’s key performance indicators so you can easily see the improvements made from our efforts.